MK Smotrich slams Coalition Chairman for removing law supported by both coalition and opposition from agenda over spat with Jewish Home. 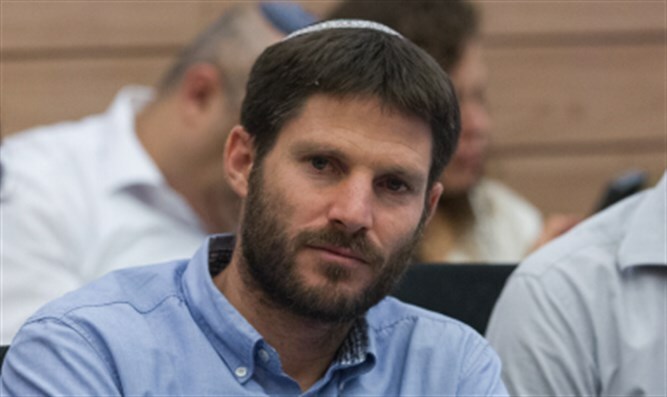 The 'Isolated Farm Law' promoted by MK Bezalel Smotrich (Jewish Home), which would regulate the status of individual farms in the Negev, was prepared to go through its second and third readings during previous Knesset session. Coalition Chairman David Bitan abruptly removed the bill from the Knesset's agenda at the very end of the summer session. However, he promised to bring the to the Knesset plenum at the start of the winter session, which began last week. The 'Isolated Farm Law' was approved by a large bipartisan majority of MKs from both the coalition and the opposition. The only parties which opposed the legislation were the Meretz arty and the Joint Arab List. The law regulates the planning procedures for the isolated farms in the Negev, allowing the farms tro develop as agricultural or as tourism enterprises in order to preserve the land. MK Smotrich said in response to MK Bitan's steps that "there are limits even to political struggles, and the removal of the law from the agenda not only harms the coalition, but also harms the Negev and the dozens of farmers who are depending on this law to help them preserve the homeland. It is a shame that the Likud is cynically striking at the settlements of the Negev for narrow political gain."